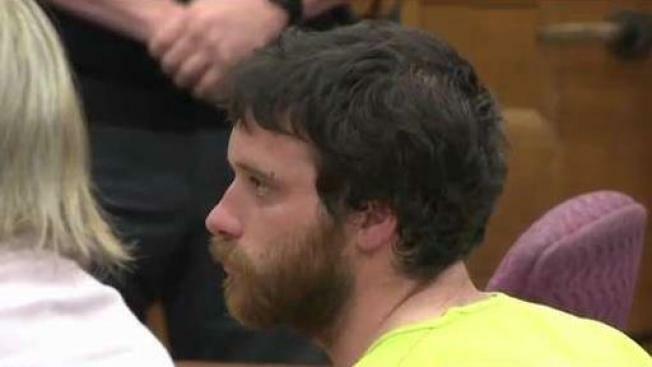 Allen Draper, 30, is accused of killing 52-year-old Tim Persons over money by beating him and leaving him to die in a burning house in St. Johnsbury, Vermont. The lawyer for a man accused of killing a person whose body was found in a burning Vermont home says his client will stop fighting for his release on bail. The Caledonian Record reports the lawyer for 30-year-old Allen Draper said in court filings Monday his client is waiving his right to an evidence hearing because the Department of Corrections is intent on keeping him detained. Draper was on furlough when the alleged killing happened, and he was already returned to prison for an undisclosed furlough violation before he was charged with murder. Authorities say Draper struck Tim Persons in the head with a pipe May 15, and then set his St. Johnsbury home on fire while the man was still alive. Draper has pleaded not guilty.